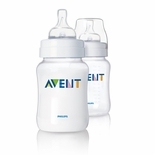 Philips Avent mother & childcare products are BPA Free. The guiding principle behind Philips Avent is peomoting baby's well-being and giving parents the flexibility to care for their grown baby. this means providing parents with choices that allow them to make the best decision for themselves and their babies, whether breastfeeding, bottle feeding or a combination of both. As a baby grows, the interchangeable design feature in Philips Avent feeding products lets parents adapt the system to transition baby smoothly from bottle to cup. 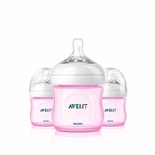 philips Avent products are recommended by doctors and mothers to care for newborns, infants and toddlers. its quality has been recognized all over the world with a wide range of industry awards.